The warm wishes were written with a touch of tongue-in-cheek humor. 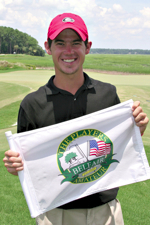 After tracking Jin Jeong’s final round on the Internet of the British Amateur Championship in June, Belfair resident, Dan Coll, fired off an e-mail to the young South Korean golfer. The 20-year-old, who trains in Australia, became the first Asian player to win the 125-year-old competition. The accomplishment secured him a spot in last month’s (July) U.S. British Open at St. Andrews, and an invitation to the 2011 Masters. 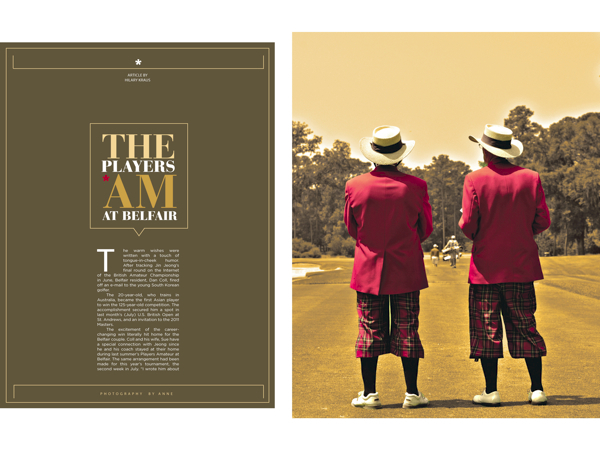 It is relationships like this—which also make for good cocktail-party stories—that continue to develop between golfers and Belfair residents since the inaugural Players Amateur in 2000. Some of the bonds go beyond e-mail niceties. 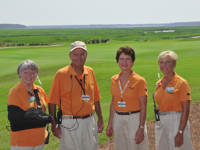 Members plan trips around players tournament schedules, and players invite members to their weddings, said Belfair resident Carol Tyler, who is in charge of the volunteers. “For some reason, they just wiggle their way into your heart, and in a week they feel like a member of the family,” said Tyler, who along with her husband, Bob, housed two Australian golfers during last month’s 11th annual event. “It’s quality time, interaction, and treasuring the relationships that are built,” she added. 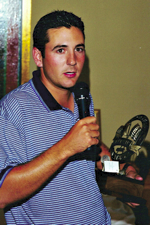 Among the golfers who have touched residents’ lives are Ben Curtis, 2000 Player Am champion and 2002 British Open winner; Carmilo Villegas, 2003 Player Am champ and three-time PGA Tour winner; and Lucas Glover, 2009 U.S. Open champion. 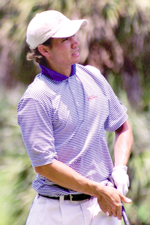 Rickie Fowler and Ricky Barnes, up-and-coming stars on the PGA Tour, also competed at Belfair. 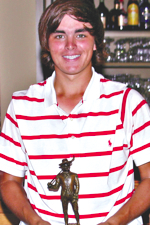 Fowler won the event three years ago. 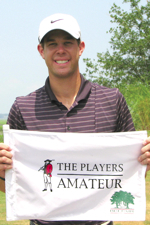 Kevin Tway is the latest to add his name to the list. 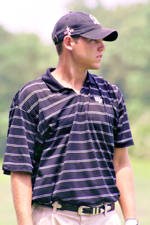 The Oklahoma State University golfer is the son of PGA golfer, Bob Tway. For one week in July, members lay out the red carpet for approximately 90 top amateur golfers from the U.S. and several other countries. The competitors are responsible for getting here. Registration fees, food, beverages and lodging are on the house. At this year’s event, played on the West Course, 45 families housed players, parents and coaches. Many of the residents were among the 135 who also volunteered as marshals, directing traffic, manning leader boards or whatever else needed attention. But it’s not just I-knew-him-when stories and party invitations that make the Players Am so special to Belfair. 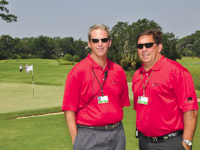 Tournament founders and organizers are proud of what it offers the golf community outside Belfair’s gate. 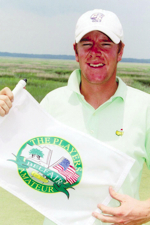 The tournament was the idea of Belfair residents Duke Delcher and Tom McKnight, former teammates on the U.S. Walker Cup, the top amateur tournament that pits the U.S. against the United Kingdom and Ireland. 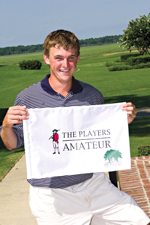 “The reason it started was to do something to give back to the game and promote amateur golf. I had played a lot of competitive golf, and because of those relationships I built, I was hoping I could get people here,” Delcher said. After early success, the founders went to the Heritage Classic Foundation, sponsors of the Verizon Heritage. The two worked out an agreement by which the foundation runs the Players Am. 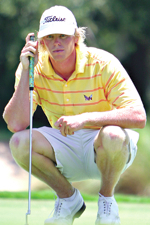 The champion of the four-day event also earns an exemption into the Verizon Heritage, a major perk for any golfer. Wilmot, who is pulled in every direction during Heritage week, said it also allows him a chance to get to know the stars of the future under less stressful working conditions. And he, too, has his favorite story about an unknown golfer. 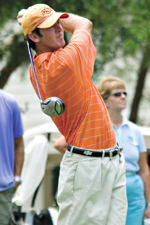 The golfer turned out to be Lucas Glover, who went on to win the 2009 U.S. Open Championship. 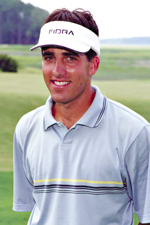 And he hasn’t missed a Heritage stop on the PGA Tour since first playing at Harbour Town in 2004. In the meantime, the Colls are planning ahead for Jeong’s trip to Augusta National next spring. “A group is coming over to watch him” Sue said. Although the Colls are not Masters ticket holders, Sue said a trip to the tournament could be in the works.